Petitioner Ashwini Upadhyay drops prayer seeking cutting down of vacations and a direction to all courts including SC to work six hours a day, 225 days a year. 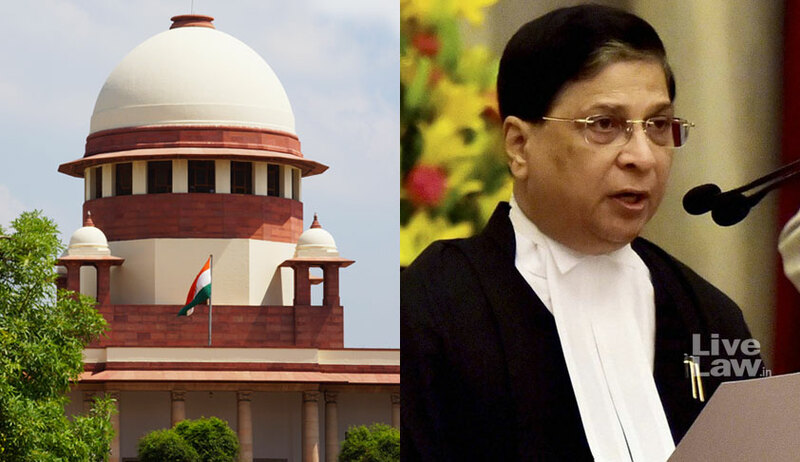 The three-judge bench headed by Chief Justice Dipak Misra today disposed of a PIL which sought urgent steps for reducing pendency of cases and appointment of judges to the High Courts saying “steps are being taken and no mandamus is required at this stage”. Ironically, the most interesting aspect of the PIL was a prayer to direct cutting down of vacations and that all courts including the apex court should work at least six hours per days and 225 days per year. But petitioner Ashwini Kumar Upadhyay, a BJP leader and Supreme Court lawyer said he has dropped the prayer. "Though we appreciate the concern expressed by the petitioner with regard to the pendency of the cases in the subordinate judiciary, yet we do not intend to issue any mandamus at present as the steps have already been taken by the High Courts to fill up the vacancies in the subordinate judiciary. Needless to stay that is the only prayer in the writ petition we have addressed to as other prayers do not require any consideration". The CJI's letter to all High Court chief justices on June 25th is a sequel to the observations of Arrears Committee of the SC in respect of mounting pendency of civil and criminal appeals in HC. The letter suggests a framework be put in place whereby each High Court "every month takes stock of cases filed and disposed" there as well as in subordinate courts. The CJI taking note of the deliberations of the arrears committee has requested the HC to prepare an action plan with cut-off dates for disposal of 10 and five-year-old cases and such plans have to be continuously monitored by the committee at the level of HC and subordinate courts in the light of experience and new ideas. At present, the SC has 193 working days annually, high courts 210 days and trial courts 245 days a year. However, out of 13 courts in SC, one of them sits during vacations to hear urgent cases. Even the apex court rules specify that there has to be a minimum of 225 working days, says the PIL. "Right to speedy justice is a fundamental right guaranteed under Article 21 of the Constitution," said the PIL. There is a need to reduce the vacations of judges and they should sit for the whole day so that the maximum number of cases can be disposed of. The system of vacations is legacy of the colonial rule. The situation as the country is facing demands that courts should do away with such long vacations. Every court, including apex court, must function at least six hours per day and 225 days per year, said the PIL. “The Indian Judiciary would take 320 years to clear the backlog of about 31.28 million cases pending in various courts in India. The reason for backlog of cases pending is inadequate judge strength which is 13.05 judges per one million people, as against Australia 58 per million in Canada's 75, the United Kingdom 100 and the United States of America 130 per million. In 2002, the Supreme Court had directed the Centre to raise the judge-population ration to 50 per million in a phased manner, as recommended by the Law Commission in its 120th report. The suggestion has had little effect”, it said. Direct the Ministry of Law to take appropriate steps to reduce the pendency of cases n line with the Resolution dated 25.10.2009, namely ‘National Consultation for Strengthening the Judiciary towards Reducing Pendency and Delays. Direct the Ministry of Finance to allocate sufficient funds from National Resources or Consolidated Fund of India to meet the demands of State Judiciary in line with the recommendations of the National Commission to Review the Working of the Constitution. Direct the Ministry of Law to take appropriate steps to implement the recommendations of the Law Commission’s Report No 221, 230 and 245.